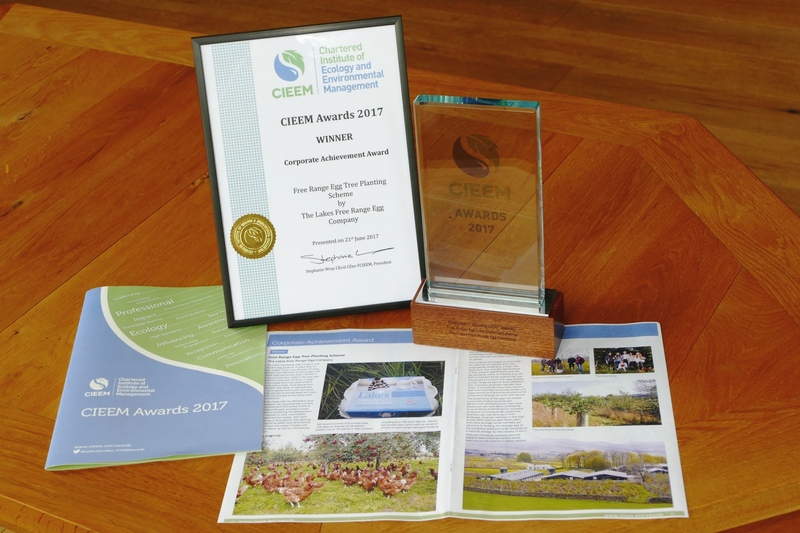 The Chartered Institute of Ecology and Environmental Management (CIEEM) has just held their national awards ceremony at Drapers Hall in London, playing host to leading ecologists, environmental specialists and a select group of shortlisted finalists which included The Lakes Free Range Egg Company (The Lakes). Speaker at the ceremony was Baroness Young, Chair of The Woodland Trust who discussed implications of Brexit on UK wildlife law. She also highlighted the benefits that trees bring to the environment before presenting the CIEEM Corporate Achievement Award to The Lakes Free Range Egg Company. The Lakes won the award in recognition of the wide reaching benefits their innovative tree planting schemes have brought to the natural environment, influencing their industry to plant more trees for the improved welfare for over 19.5 million hens, and for their continued development and research into maturing schemes with the Woodland Trust. The Lakes case study featured in the award programme. It highlighted that over 150,000 trees have been planted over 600 acres of hen ranges, encouraging free range hens to roam further as well as enticing indigenous and often endangered wildlife to return to farms – these include species like Pipistrelle Bats, Barn Owls and Red Squirrels. One of the key features of the case study is The Lakes long term commitment to planting and research. The Lakes is three years into a Woodland Trust five year extended ecological survey, aiming to identify the best way forward for future range planting strategies. 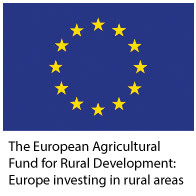 This extended project is being organised by Paul Arkle, Farm Environmental Advisor with Cumbria Farm Environment Partnership (CFEP) who nominated The Lakes for the award. Paul has been working and supporting The Lakes on tree planting and range enrichment for the last twenty years, formerly with FWAG and now with CFEP. Paul Arkle said “David and Helen have been very committed to range enrichment from day one and that dedication has reaped dividends, but not just for enriching the landscape and improved animal welfare. With two decades of experience, there’s a vital legacy of schemes at different stages, this is helping us gain a greater understanding of how schemes mature over time and how the flora and fauna develop. David and Helen Brass were keen to recognise that winning this award is the result of a strong collaboration and said “Paul Arkle is an integral part of our team – a twenty year collaboration, sharing the same values, supporting our producers and working with our customers and organisations like the Woodland Trust. “Tree planting schemes on the free range hen ranges have presented some unique challenges, not least because of the strong foraging instinct and general curiosity of the hens! As well as better animal welfare there are other, very real and practical benefits for any free range egg producer. Trees planted around the hen sheds intercept ammonia emissions and particulates – helping to protect sensitive sites like nearby semi-natural woodland. They also help reduce nutrient runoff from the hen ranges and help to protect the water quality of streams and rivers.